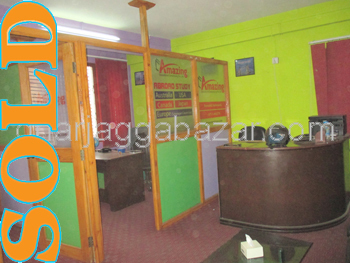 a brand new ground floor fully furnished approximately 1000 sqrft office space(4 rooms) at near Pasang Lhamu college, 150 mtrs inside from ring road at Samakhusi, Kathmandu is on sale. 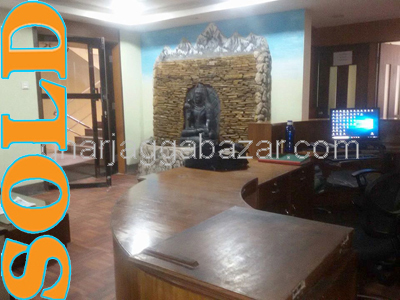 a fully furnished 3107 sqft office space in 2nd floor of bank of kathmandu commercial building, touched with highway road with enough parking space at Sano Gaucharan,Gyaneswor is on sale. a fully furnished office approx 1100 sqrft(1rst and 3rd floor)with 10-12 motorbike parking space, touche with main highway road in main business area with walking distance with all transportation facility next to marcopolo business hotel at Kamaladi is on urgent sale. office having area 548 sq ft at balku, first floor, facing east-west, touch with main dakshinkali highway road is on sale.